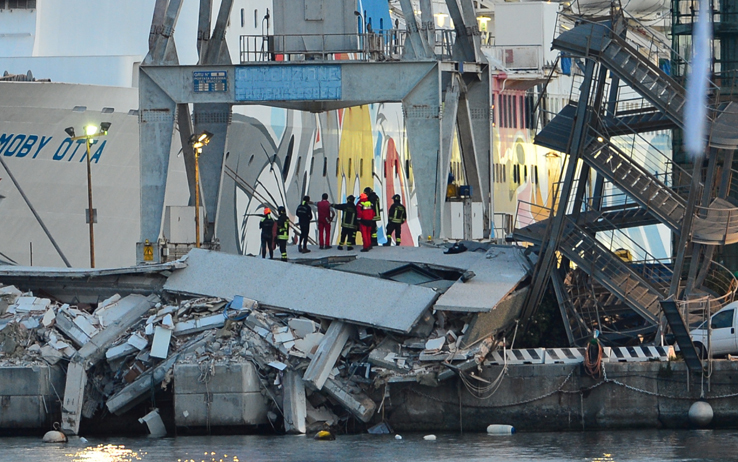 Two workers are still missing and seven were found dead at the Port of Genoa, after the Jolly Nero, a cargo ship, hit the pilots’ control tower on the night of Tuesday May 7. The city is in mourning. There was a 15 minutes stoppage during the morning of Wednesday, observed in schools, the university, shops, banks and industry. The Port workers were on strike until 1 pm. This entry was posted in Industry, Labour, Tertiary and services, Unions, [en] and tagged CGIL, CISL, dock workers, Genova, Jolly Nero, Messina Line, UIL, unions. Bookmark the permalink.